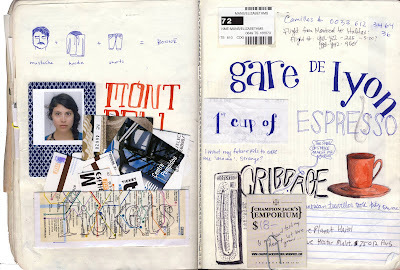 For Everyone Only: France Journal Part II: For the love of tape. 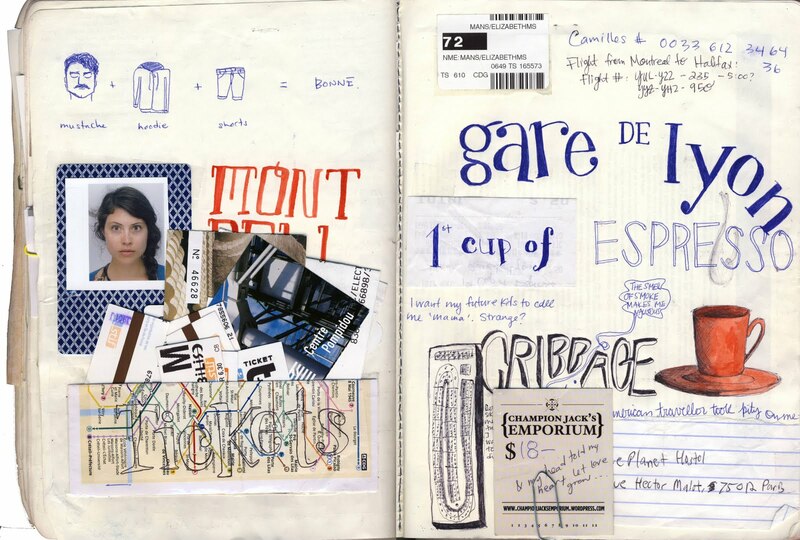 Here are some more pages out of THE JOURNAL. Didn't think someone could have such strong feelings towards tape? Think AGAIN. This particular pocket holds an abundance of tickets from the trip. You can see them laid out for you below. Mostly they are tickets for the metro, train, or whatnot, but also from museums, cheese factories, etc. On the right, the receipt from my first cup of espresso, drank in the Gare de Lyon train station while waiting for Beth Ashton to arrive. Later I moved outside under the clock, to wait for her, and read. Unfortunately, it really smelled like urine out there though and I was leery to sit on the ground, although I eventually did because my legs were tired and I sit on the pee steps at Atangard all the time. So no biggie. The picture of Beth is from an underground photo machine that we needed for the metro cards we proudly purchased. I will post them later. ANTICIPATION.